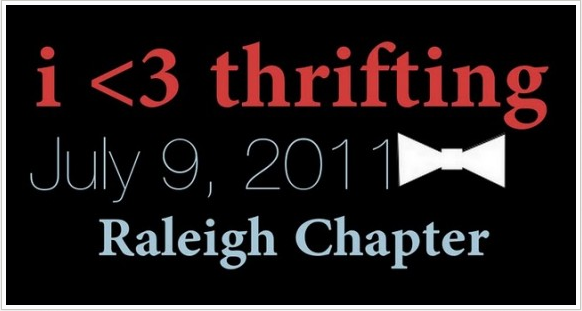 I’m participating in the “i heart thrifting” event this Saturday! Are you? If so, please introduce yourself here in the comments and I can’t wait to meet up with all y’all in real life! My friend, Carrie, and I are going together. Hopefully, we will all find that most perfect treasure! I’m still looking for a HUGE cow painting similar to these. Please tweet me if you see one while you’re out and about. Use hashtag #ilovethrifting. Go to Mr. Goodwill Hunting’s Blog for a list of participating cities. Happy Thrifting! Yay! I can't wait to go!!! Love the cow paintings, I can see why you are so taken with them. 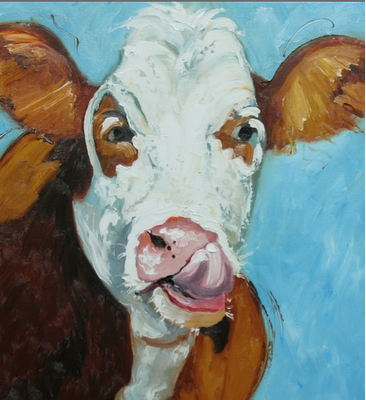 THhres' a great UK artist who does brilliant cow paintings, James Bartholomew. Have a peek you'll be impressed. Am sitting in bed having breakfast can hear the cows out in the paddock, pity the windows are all fogged up………. I adore Roz Art. I wished and hoped for a cow painting, but it was sold before I had my pennies saved. The blue in the background is gorgeous. Sounds like a blast!! Wish I could tag along!